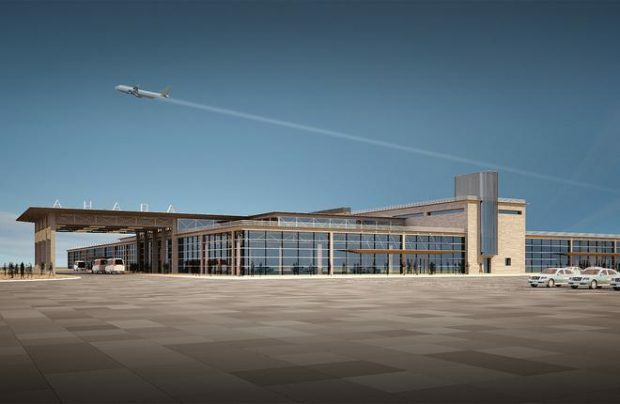 Viyazevo airport, which serves Anapa, unveiled its new passenger terminal on July 12, managing company Basel Aero reports. One of the reasons behind the capacity expansion, apart from the growing traffic into this popular Russian holiday destination on the Black Sea coast, is the fact that Vityazevo serves as an alternate airport for Sochi, which is one of FIFA World Cup 2018’s host cities. The new terminal is a one-storey building with a floor area of 11,800 square meters, or 3.5 times the area of the old building, which entered service in 1976. The total area of the passenger facilities at the airport now stands at 16,500 square meters. The new facility can process up to 600 passengers per hour. The airport’s total throughput capacity has thus doubled to 1,100 passengers per hour. The baggage system processes up to 1,000 pieces per hour. Construction of the new terminal at Anapa began in March 2016, and cost more than 1.4 billion rubles ($23.4 million). The old terminal could be used for international flights, which account for less than a half of the airport’s passenger traffic, or for business aviation charters. Some 1.418 million passengers traveled through Vityazevo in 2016, up 20,3% on the previous year. In the first half of this year, however, the number of passengers slid 3% compared to the same period of 2016, to around 435,000.